For $19.99, you can't really get much of a diver's watch. 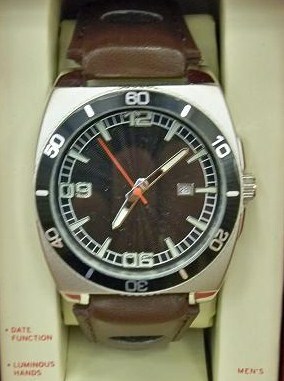 But, you can get a pretty nice looking "Diver-style" watch. This Merona Diver-Style Watch from Target looks good and is a steal for $19.99. However, I wouldn't try to scuba dive with it! Perhaps you see a bit of this Omega Seamaster Planet Ocean in the humble Merona?